Alabama has had a firm stance against any form of gaming in the state. In fact, the only gambling allowed at all is at a Native American casino. 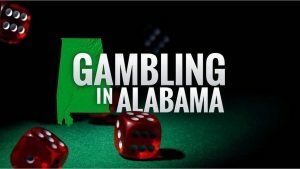 However, some state legislators are calling for citizens of Alabama to vote whether they want to allow gambling in the state. 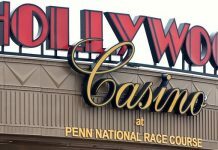 The issue, if it comes up for debate, is certain to be a hotly contested and discussed battle between conservative Christians, who think gambling should remain illegal, and those who believe gambling revenue would bring much-needed money into the state’s coffers. However, where Christians have a stronger issue is with the different types of gambling. Some Christians believe it should be left up to the individual whether he or she should gamble. Others do not seem to have a problem with someone who plays a $2 lottery ticket or participates in a small office betting pool for the NCAA tournament. But, they frown upon casino gambling. Alabama right now, more than at any other time in its history, may be ripe for a gambling push. First, Alabama only has to look to its neighbors to the east and west to note the enormous amount of money flowing into those states’ coffers. Mississippi allows casinos in the northern part of the state along the Mississippi River, as well as along the Gulf Coast. 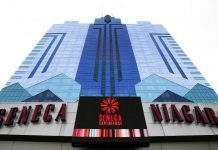 It reported the casinos brought in more than $2 billion in revenue in 2017. This figure is revenue only, without the added tourism dollars. All the revenue spent in casinos means hundreds of dollars of revenue for Mississippi’s economy, and it is needed. Mississippi is one of the poorest states in the nation. The increased revenue flowing into the state has helped with infrastructure, educational, poverty, and social programs. In contrast, Georgia does not have casino gambling. However, the state has had a lottery for 25 years. All the revenue from the Georgia Lottery is earmarked for two educational programs: a fully funded Pre-K program for 4-year-old preschool children statewide and a scholarship program that allows vocational, two-year and four-year college students to attend state colleges and universities tuition-free. Georgia has received more than $150 billion in the 25 years the program has been in operation. Alabama could benefit from the additional services that come from gambling revenue, and some members of the legislature are looking to the potential of the lottery to raise funding for educational and other service programs. Many Alabamians see no problem with a state lottery with proceeds going to education. Also, Alabama benefits from tourism dollars. In fact, it relies on it for some of its revenue. Many people visit the coastline of Alabama for its beaches, so locating one or two casinos in that area could also bring in more tourist dollars. Some legislators have also noted that Alabama is home to some of the largest sports fanatics in the United States, especially when it comes to college football. Two of the most successful college programs in history reside in Alabama. Therefore, if the state allowed sports gambling on football, millions of dollars could be raised to benefit state programs. 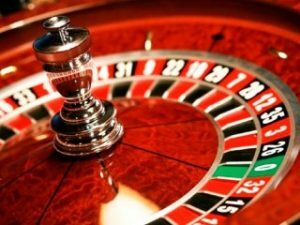 It would seem that now is the time for Alabama to allow gambling to be put on the ballot for a vote.